Massive B-Horror Collage wolpeyper. A Massive Collageof B-Horror pelikula I pag-ibig. 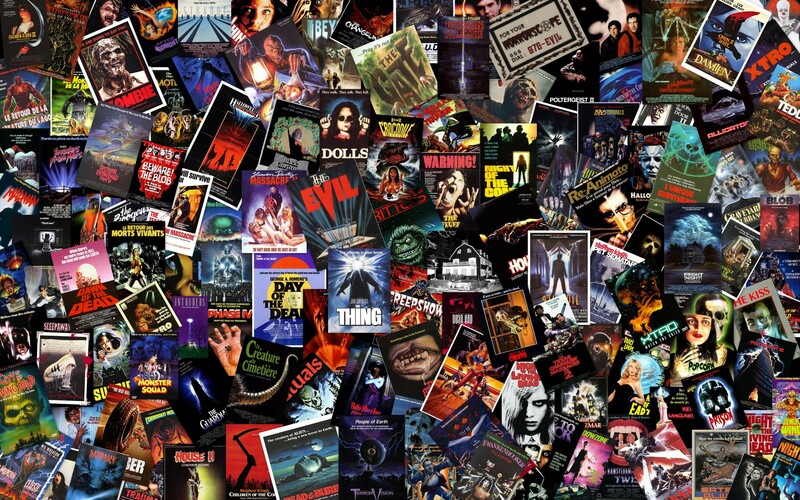 HD Wallpaper and background images in the nakakasindak na pelikula club tagged: horror movies b collage 70's 80's 90's sequel poster covers vhs. This nakakasindak na pelikula wallpaper might contain anime, comic book, manga, and cartoon.